There has been much discussion over the years about Frank Hamer’s Model 8 with an extended magazine; the rifle he acquired for the ambush. He is cited as having carried a “20 shot” 35 Remington rifle and that he sent the rifle off to Peace Officers’ Equip. Co. to have it fitted with a “police only” magazine. This story has appeared in various places and always assumed to be fact, perhaps because it sounds so fitting or maybe it’s due to a few conflicting reports. The information provided is not aimed at discrediting anyone, but to review some of the evidence. We do know that the “20 shot” capacity advertised is most likely a misnomer, Peace Officers’ Equip. Co. produced their extended magazines predominately in 15 round capacity. No 20 round magazine to date has been observed. Please refer to the page “Police Model 8 & Model 81’s” for further information regarding these law enforcement versions. Immediately apparent in the stills from the video is that the rifle shown is actually not a Model 8 , but a Model 81 “Special Police” with a 15 round magazine. Hamer could not have possibly used a Model 81 in the ambush (production did not begin until 1936). The presence of the markings “POLICE GUN-PROPERTY OF” on the left side of the receiver proves this rifle to be a “Special Police” version built by Remington no earlier than 1940. 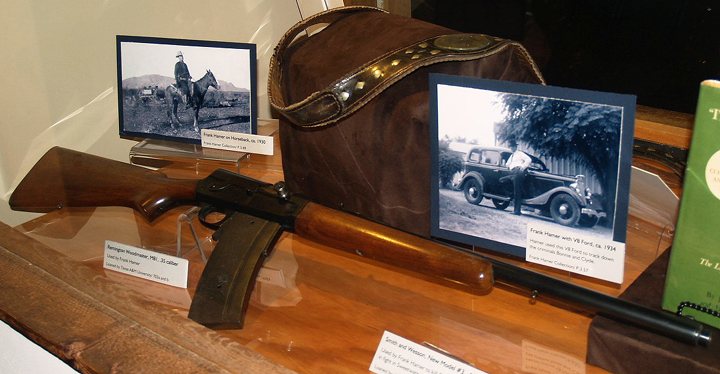 This Model 81 #10045 currently resides in the Texas Ranger Museum in Waco, TX. It goes without saying this was not the rifle used in the ambush. Thus the account from Al Ritter that Hamer acquired this rifle #10045 from Petmeckey’s Sporting Goods store in Austin, Texas for the ambush in incorrect. 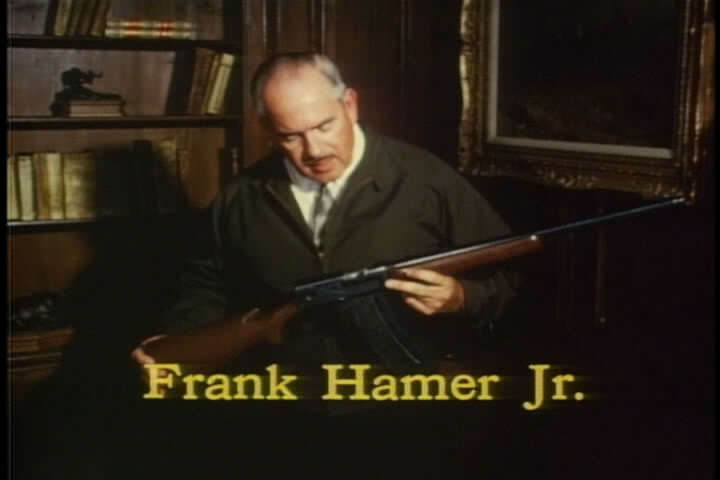 I don’t think Frank Hamer Jr. was falsely representing his father’s rifle, but perhaps the history of that Special Police Model 81 got misconstrued over the years. 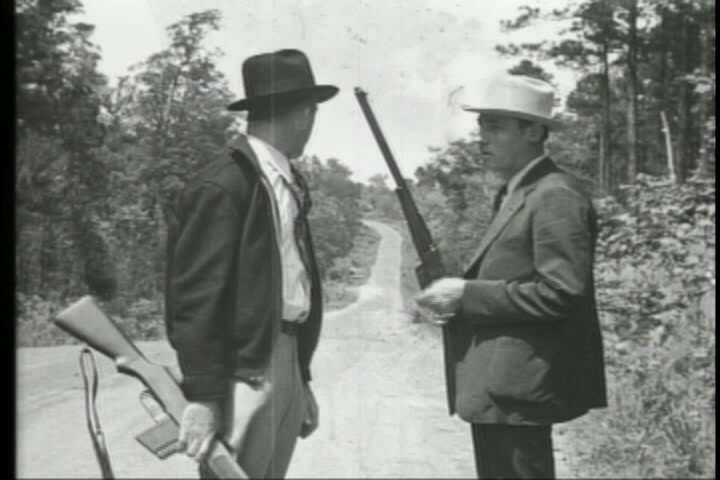 Scenes below from Ted Hinton’s reenactment film from 1934, taken shortly after the ambush, show that at least one standard Model 8 was probably present (pictured here in the hands of Bob Alcorn). In the video clip watch carefully as hot brass from Ted Hinton’s BAR hits Bob Alcorn in the face! 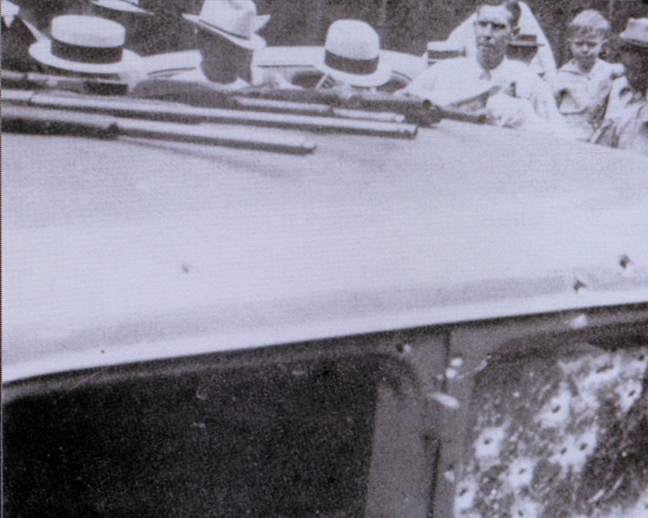 The following images were taken on May 23rd, 1934, just after the ambush of Bonnie and Clyde in Bienville Parish,Louisiana. The onlookers are probably perplexed because Bonnie & Clyde’s bodies are still in the car. It cannot be confirmed with absolute certainty, but it is very likely these are at least some of the firearms used by the posse. 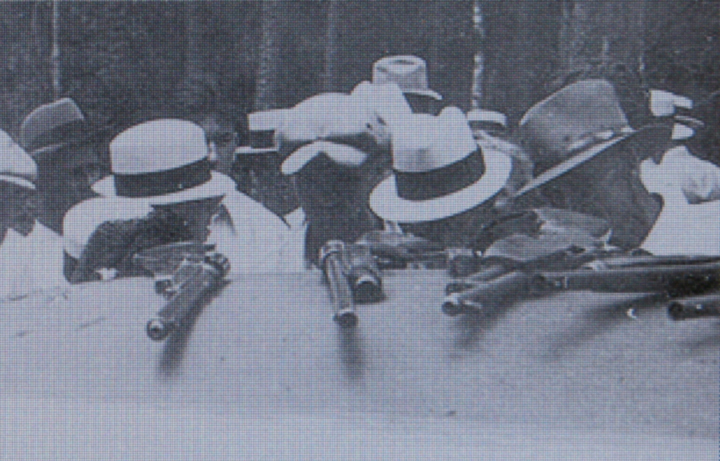 These are not Bonnie and Clyde’s firearms as another photograph shows their guns laid against the rear bumper of their car with these still on top. 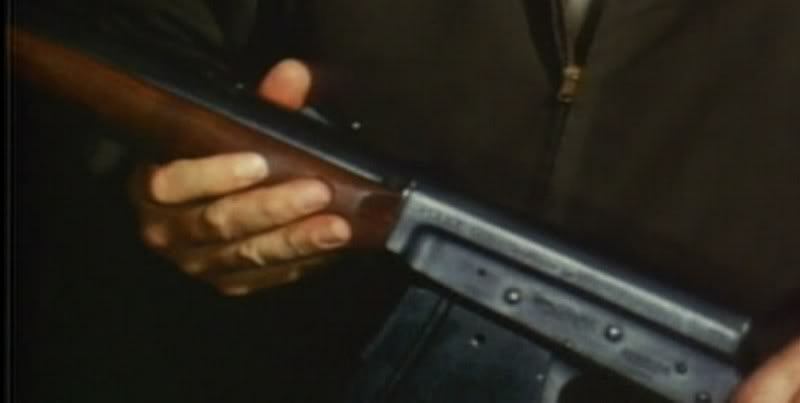 Ted Hinton’s 8mm film, taken before onlookers and other law enforcement arrived, confirms this by showing these firearms on top of the car in one scene. Furthermore, it makes little sense for other law enforcement officers to place their firearms on top of their car (especially a BAR) when the ambush was over and no threat remained. Moving from left to right the first firearm is unmistakably a Remington Model 8, next is a shotgun, a BAR, and two other shotguns. Ambush site, May 23rd, 1934[spacer height="20px"]The original, un-cropped version of the photograph below shows Clyde Barrow’s face leaning against the door. Here we see the same firearms in the same order as the previous photo but from a different angle. We can determine that the Remington Model 8 is equipped with a factory schnabel forearm NOT a Peace Officer’s extended forearm.